Here is some more about my interests. If you have any questions, please feel free to ask. I’ve loved the Transformers since I was 8 years old. I started collecting seriously (yes, collecting toys CAN be serious) when I went to college and discovered the Internet. (Yes, children, us old people grew up without the Internet…just don’t ask me how we did it.) Anyway, my favorite Transformer generation is G1 and Optimus Prime is my favorite character. 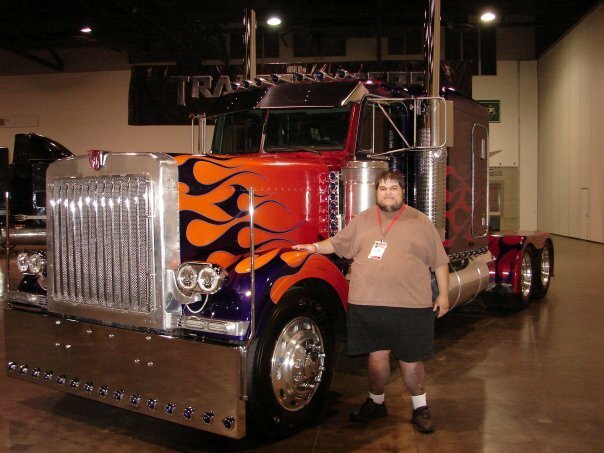 Check out the “My Sites” page for links to my Transformers sites. I don’t remember when I became a Trekkie exactly. 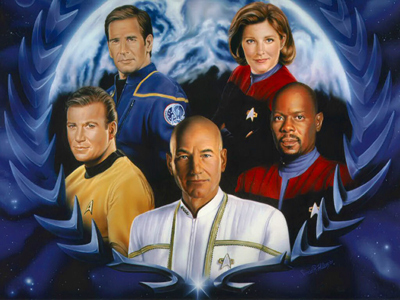 It was somewhere between the second and fourth season on Star Trek: The Next Generation. Whenever it was, it stuck, and before you ask, I love ALL the different series. I didn’t start reading comic books until I went to college. Now I’m reading about fifty books a month. All are Marvel accept Transformers and Star Trek from IDW. 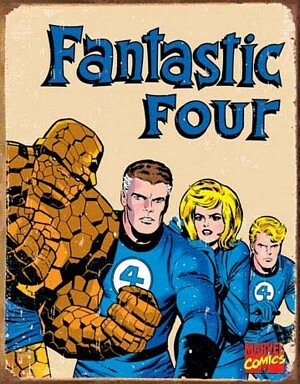 My favorite comic is the Fantastic Four and my favorite character is the Thing. As if I needed another obsession, in the summer of 2007 I became completely hooked on Harry Potter. I am counting the days to Deathly Hallows Part I, and I plant to be in Florida at LeakyCon 2011 for Part II this summer. I am also a huge fan of Wizard Rock. If you don’t know what that is, Google it. There are hundreds of Wizard Rock bands, singing songs inspired by the Harry Potter books. Many of them tour, so go see a show, if you’re a Potter fan, you won’t regret it. I am a huge sports fan, baseball and football mostly, though I like Basketball and Hockey too. I live and die with the Red Sox all season long so they can stamp on my heart every fall. Two world championships ARE NOT ENOUGH! I love movies. I see most almost any action/adventure, science fiction, fantasy, and comic book or graphic novel movie that come out and lots of other random ones. I love animated movies. From May through July there is almost a movie every weekend I’ll want to see most years. 1. Star Trek II: The Wrath of Khan. 2. Any movie with Star Trek, Transformers, Harry Potter or a Marvel Comics Character* in the title, I won’t bother list them all. (* – From the first Blade movie on…there were some pretty horrible Marvel movies before that.) Sorry, if I tried to put them all in order, I’d just give myself a headache. I watch a lot of television, about 40 shows this season. Chuck, Castle, NCIS, Criminal Minds, The Big Bang Theory, and Bones are among my favorite current shows. My favorite show of all time is M*A*S*H.
Well, this may come as a surprise, since I am currently writing a novel, but I really don’t like to read much. I am a much more visual person, I prefer movies, television, and comic books. Most of the time, if I say I “read” a book, if it’s within the past 10 years, it is 99.9% likely that I listened to the audio book.